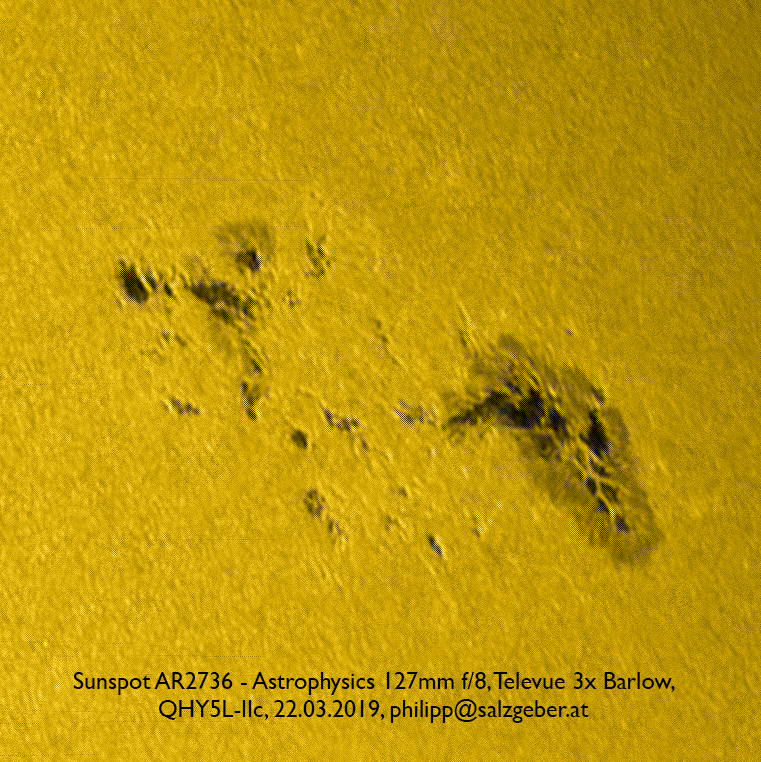 After a few very quiet months the sunspot AR2736 grew to a considerable size and shows quite a bit of detail in this close-up image. The image was taken on 22.03.2019. 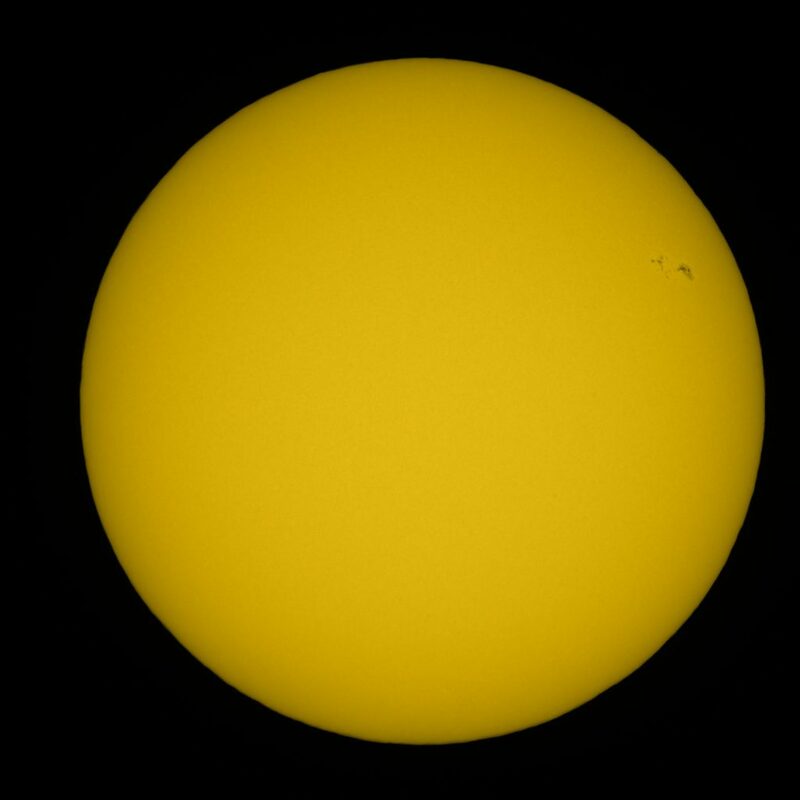 This entry was posted in astrophotography, solar.